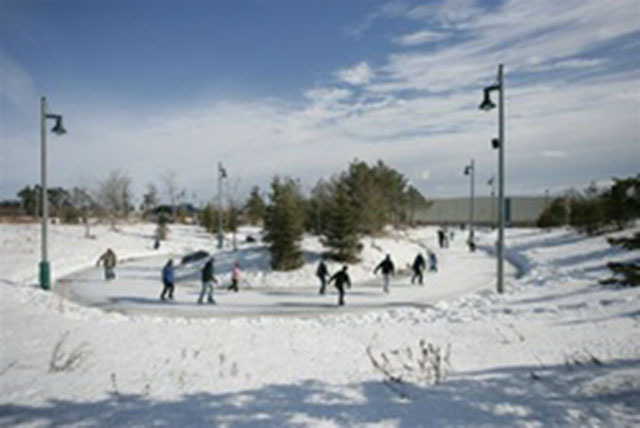 Richmond Green, located at Elgin Mills Road East and Leslie Street, provides a wide range of activities covering all four season’s of the year. 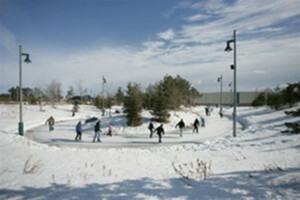 Did you know there is an outdoor Skate Trail on the west side of the park, behind the Tom Graham Arena? Lace up your skates (ice in winter and in-line in the summer) and set out for an enjoyable glide through the 250 metre looped trail’s natural setting! The trees surrounding the trail are native to the area and many were transplanted from other areas of the park during the park’s redesign. With the twinkling lights in the trees and music in the air, this is an outdoor winter tradition you’ll want to experience! Please note that the skate trail is for recreational skating only. Hockey is not permitted. For further information, please call (905) 771-5490 or visit the website.